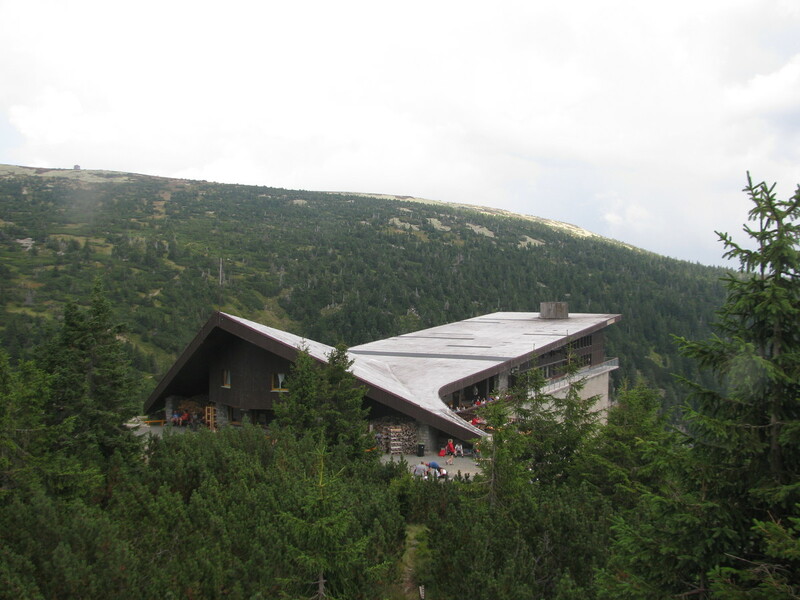 The hotel Labská bouda is situated in the first zone of the National Park Krkonoše Mountains. It stands on the Elbe Meadow in the altitude of 1340 m. The most common starting points for a trip to Labská bouda are Horní Mísečky, Špindlerův Mlýn, Harrachov or Rokytnice nad Jizerou. The spring of the river Elbe often visited by tourists rises several hundred meters from the hotel. The river Elbe runs directly past the hotel and the 35 meters high Elbe waterfall is situated immediately bellow the hotel in the upper part of the wonderful Elbe ravine . The waterfall itself is followed by a 200 meters long stretch of rocky rapids. The highest Czech waterfall Pančavský vodopád with a height of 148m is only 1 km far from the hotel Labská bouda approximately midway from Vrbatova bouda, where you can get by bus in summer or you can use the chairlift to Medvědín. The supply road goes from Horní Mísečky. It is not allowed to go by car to the hotel, but our guests are offered hotel transport from Horní Mísečky or from Vrbatova bouda. There are really many possibilities how to get to the hotel. We´ll be pleased to help you with their choice.